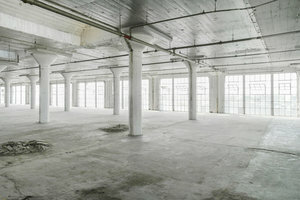 This trendy and industrial warehouse space is located in Downtown Los Angeles. 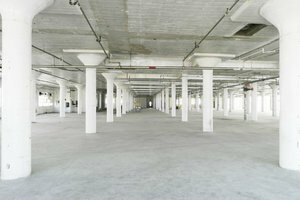 At 35,000 sq ft it's a brilliant located for large Events and Photoshoots and Film Production. The space space boasts access to a roof terrace which provides great flexibility and offers a rustic outside space. 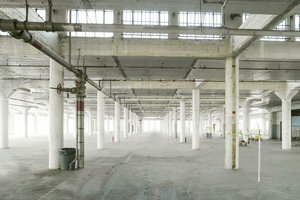 The interiors are white washed with multiple columns adding to the utilitarian feel of the space. Walls of floor to ceiling windows allow natural light into the space and also offer an interesting change in background for creative projects. 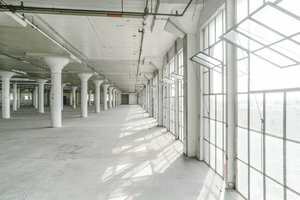 The space is well-equipped to host a range of events with two freight elevators, parking, 16 ft ceilings and a loading dock. 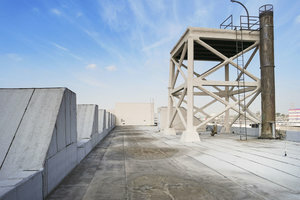 Situated close to the Fashion District and the Santa Monica Freeway, this space is easily accessible and offers a great functional space. Vuoi saperne di più sul traffico pedonale e l'area intorno allo spazio ? 2. Fai domande e visita lo spazio. Siamo qui per aiutare quando ne hai bisogno.